In a recent press release, the Reserve Bank of India (RBI) has announced that the state owned IDBI Bank has been categorised as a Private Sector Lender for regulatory purposes by with effect from 21st January 2019. The move came after the Life Insurance Corporation (LIC) of India acquired 51% of the total paid-up equity share capital of the bank. "IDBI Bank Limited has been categorized as a ‘Private Sector Bank’ for regulatory purposes by Reserve Bank of India with effect from January 21, 2019 consequent upon Life Insurance Corporation of India acquiring 51% of the total paid-up equity share capital of the bank", Reserve Bank announced in a statement. 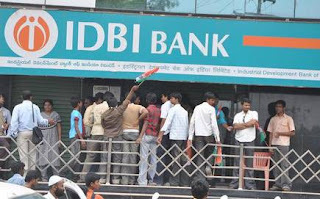 Note : As of now, the Life Insurance Corporation of India holds 51% stake in IDBI Bank and the Union Government holds 46.46% and the remaining 2.54% held by public.